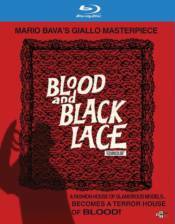 Director Mario Bava's Giallo Masterpiece! An unscrupulous business operating under the guise of a top fashion house with exotic models running sexual favors, cocaine dealings and blackmail, becomes a murder scene-after someone is pushed to the edge. The saga begins when a beautiful model is brutally murdered, and her boyfriend, a known addict supplying her drugs, is suspected of the crime... but is he guilty or is someone waiting in the shadows setting him up?